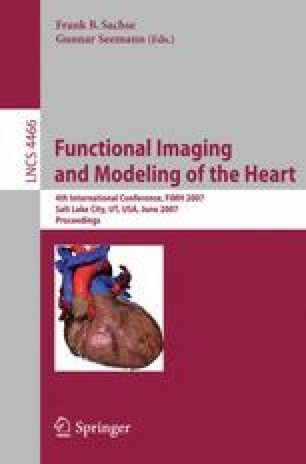 Computing the epicardial potentials from the body surface potentials constitutes one form of the ill-posed inverse problem of electrocardiography (ECG). In this paper, we employ hybrid methods combining the least square QR (LSQR) with truncated singular-value decomposition (TSVD) to solve the inverse problem of ECG. Hybrid methods are based on the Lanczos process, which yields a sequence of small bidiagonal systems approximating the original ill-posed problem, and on another additional direct regularization (the truncated SVD method is used in the present investigation), which is used to stabilize the iteration. The results show that determining of regularization parameters based on the final projected problem rather than on the original discretization one has firmer justification and it takes much less computational cost. The computation time could be reduced by several tenfolds typically, while the performance of the hybrid method is maintained well compared with TSVD, LSQR and GMRes methods. In addition, comparing with LSQR method, the hybrid method can obtain the inverse solutions without facing the “semi-convergence” problem.